Say what you will about Tyler, The Creator, dude always brings the LOLs. The rapper recently appeared (with Odd Future members Taco and Jasper in tow) on Shade 45’s Sway In The Morning SiriusXM radio show to drop a few rhymes and to talk shop about his upcoming full length Wolf. All in all, it was a pretty comedic affair. But writing it out doesn’t really do it justice. 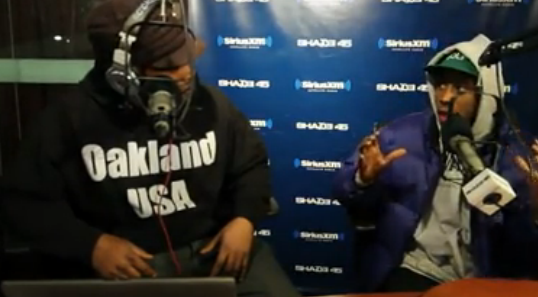 Check out Tyler, The Creators’ appearance on Sway In The Morning below.